In order to bring you a stellar conference program, we have selected presenters whose individual lives are as relevant to the Community as the issues they are addressing. The majority of our speakers hold advanced degrees in their field. Their accomplishments precede them and many are recognized nationally and within their state for their ongoing work with people with disabilities. All our speakers have apparent and non-apparent disabilities, work in the disability field or are the sibling or parent of a person with disabilities. Karen N. Hyman is the Houston District Director for the U.S. Department of Labor's Office of Federal Contract Compliance Programs (OFCCP). 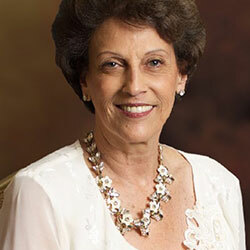 Ms. Hyman began her federal service in Dallas with the Office of Worker's Compensation in 1986. 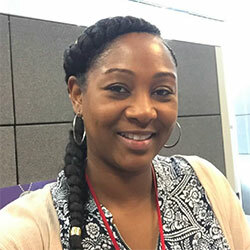 She joined OFCCP as an Equal Employment Opportunity Specialist or Compliance Officer assigned to the Houston District Office in 1988. She has over 22 years of experience as a Compliance Officer, 5 years of experience as an Assistant District Director, and over 4 years as a District Director with the Agency. During her tenure with the Agency, she has consistently resolved systemic discrimination cases resulting in large financial settlements. 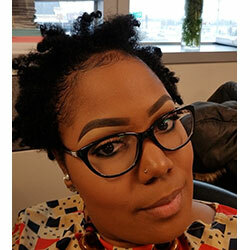 Ms. Hyman has a Bachelor's Degree in Marketing from the University of Southwestern Louisiana ("University of Louisiana at Lafayette") in Lafayette, LA. 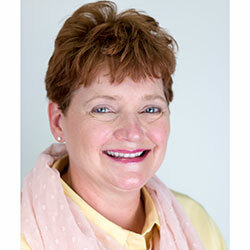 Hi, I'm Brandy and I am a Mobility Coordinator and Travel Training Specialist with Metro. I was born and raised here in Houston and I've always enjoyed the freedom of using public transit. I'm also an advocate of clean air and healthy living so naturally I love taking the bus and rail to places I enjoy. Before I came to METRO, I worked at St. Joseph Hospital as a Unit Coordinator in the Day Surgery department. I have been employed by Metro for 6 years now, however, I have been using public transportation for over twenty years (since the age of 14). I have a devoted husband of 13 years that also works for Metro and I am a mom of 6 boys. I am a native English speaker and a self-taught Spanish speaker. I have traveled to several different countries, but Houston will always and forever be my home. I enjoy working with all people and I consider it a delight, not a profession. Hello, my name is Jamie Williams and I am a native Houstonian who works for the Metropolitan Transportation Authority in Houston, Texas. There, I am a mobility coordinator who teaches seniors and people with disabilities how to successfully navigate METRO's bus and light rail systems. I have been employed with the agency since 2006. I began my career at METRO in the dispatch department for METROLift Paratransit. Since then, I have held a position in METROLift customer service department where I assisted with the eligibility process for paratransit services. It has been with great pleasure that I am able to serve the disabled community with their transportation needs. Debra Kerper's desire to pursue a career in Travel for the Disabled came from her personal experience as a physically challenged traveler. 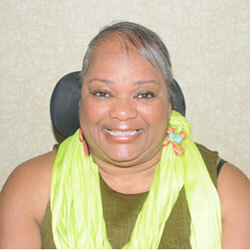 Debra has been living with Lupus since the age of 20 and became a below knee amputee at the age of 29. 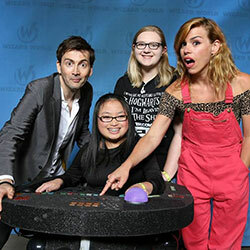 She has undergone over 30 surgeries and has spent much time using a wheelchair as well as enjoying long periods of good health and short distance walking. She has a very keen understanding of medical ailments and disabling conditions resulting from excessive time spent in hospitals and outpatient rehab facilities. In February, 2016 Debra had serious vascular problems resulting in the amputation of her left leg. Adjusting to life as a bilateral amputee has not been easy. Debra did not allow this new life changing event to get in her way….she continued to work full time and travel. Since surgery, she has escorted groups to Alaska, the Mediterranean, the Baltic, Ireland and Hawaii. Her mantra is "Just Doing It Differently". Debra travels extensively with a wheelchair and/or a scooter and has learned how to MINIMIZE THE FRUSTRATIONS while MAXIMIZING THE ENJOYMENT of visiting new and exciting destinations. She has visited more than 30 countries and has been on over 100 cruises. She is able to share her knowledge and expertise with other disabled persons as well as those who simply want to travel at a more leisurely pace. She possesses very strong interpersonal skills and a love of helping people. Linda M. Schultz, PhD, CRRN is a leader and provider of rehabilitation nursing for 40 years, most recently developing Activity Based Rehabilitation strategies. She has directed programs at an international level including the Christopher Reeve recovery project at Washington University in St. Louis. 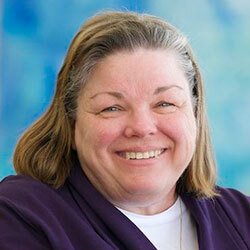 She is certified by the Association of Rehabilitation Registered Nurses. Dr. Schultz writes the interactive Ask a Nurse Blog, an evidence-based community forum, conducts monthly international webinars hosting discussions and questions from individuals with paralysis and has created emergency pocket cards concerning the topics of sepsis and Autonomic Dysreflexia, in coordination with the Christopher and Dana Reeve Paralysis Foundation. 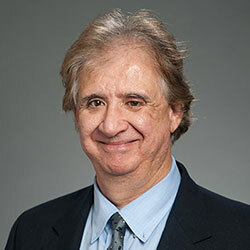 As a researcher, Dr. Schultz focuses on the concepts of promoting bladder and bowel continence and skin integrity. She has completed a national analysis of urinary continence in the elderly population utilizing NIH data. The results of these findings have been used to establish protocols by the AHCPR. Founder and president of Eternal Gems, Inc.
Gwendolyn Jones-Brown is the founder and president of Eternal Gems, Inc. We are a non-profit community development corporation. We invest in urban and rural youth by providing youth events, workshops, rallies and many other activities for inspirational, educational and entrepreneurial human development. Our website is http://www.eternalgemas.org. My experiences are youth rallies, youth workshops, youth community services, Christian family radio, Christian family television, citywide men basketball tournaments, neighborhood cleanup campaigns, health fairs and park evangelism. Entrepreneur Maria Corea suffered a tragic accident in 2011 that resulted in various injuries that left her paralyzed and with only the function of her right arm and head. Since then Maria's life and mentality has taken a 360–degree turn. After spending a lot of time in hospitals, rehabilitation, and with the disabled community, Maria developed a passion for helping individuals who are physically challenged. As the unfiltered author of Rolling with a Purpose, co-founder of the National Unstoppable Foundation, and the CEO of Adapt and personalize, Maria seeks to motivate and educated the world on living life to the fullest while being physically challenged. Angel Arredondo was born with a rare condition called arthrogryposis multiplex congenita. She is a wife and mother. Angel has overcome many obstacles that most people would consider far too difficult considering her limitations. 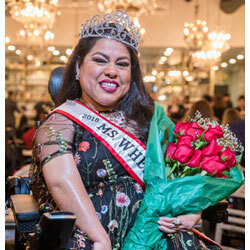 At this time, Angel is a very active advocate for disability rights, a keynote speaker, and inclusion model for a photo ability.net, a member on an advisory committee for women with disabilities in their pelvic health and reproduction, and the 2018 Ms. Wheelchair Texas and the new President and State Coordinator of the organization. I Love My Red Wagon is her first of a five book series touching on her experiences as a child living with a disability. Her life's work has been a voice of self acceptance and empowerment for her peers by creating changes through awareness until public accessibility becomes not only an addition to all structures/businesses in our communities but until it becomes the luxury and normalcy of OPTIONS that the able bodied community takes for granted. 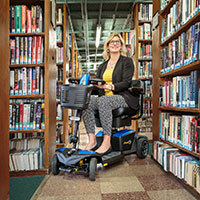 One factor Angel is certain about herself and other wheelchair users is, "We are unlimited. We can do anything and everything. Our wheels just get us there faster." Diego Demaya is a labor and civil rights law attorney working as Human Resources Adviser and Director of Technical Assistance with the ADA Resource Center -- a division of the Memorial Hermann healthcare system. Diego provides counsel and educates on the ADA, FHA, FMLA, ACA, 2010 ADA Standards for Accessible Design, Section 504, Fair Housing Accessibility Guidelines, and equivalent State laws. He trained with the U.S. Department of Justice, the U.S. Department of Housing and Urban Development and U.S. Department of Labor. He consults with and guides other Federal, State and local agencies as well as the private business sector. He advises and provides training for homeowner associations, apartment community landlords, and property management companies. He is routinely brought in to facilitate educational programs and assist with policy development to guide entities to meet their ADA related obligations. 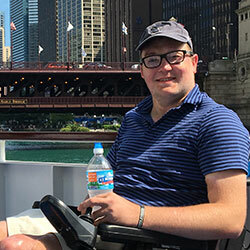 John Morris is one of the foremost experts in the field of accessible travel, drawing from his experience of nearly one million miles flown as a wheelchair user and triple amputee. He educates people with disabilities through his accessible travel website WheelchairTravel.org and advises companies through his consultancy, Accessible Development Group. Known for traveling the world with one hand, a passport and his power wheelchair, he has become a strong advocate for accessibility and inclusion within the travel industry. John is an accessible travel thought leader who shares his vision for an open world with both travel providers and the community at large. Casey Cashman has been living with chronic pain for the past 8 years of her life. During her pain journey she has volunteered with multiple organizations as a patient representative to ensure that the patients' voice is always heard. 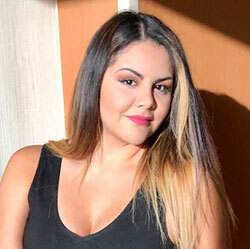 She is recognized as a rising leader in the pain awareness movement. Utilizing the skills she acquired as a Human Resource manager, Casey has made it her mission to empower and support those living with chronic pain. In 2014, Casey became the Volunteer Executive Director of U.S. Pain Foundation, a 501(c)3 non-profit organization dedicated to serving those who live with pain conditions and their care providers.. Casey started the Beautify in Blue campaign in order to highlight the bravery of pain warriors everywhere. This campaign seeks to unify the pain community and raise awareness for the 100 Million Americans who live with chronic pain everyday. Casey chooses to fight everyday for the little triumphs, and she jumps over the obstacles and hurdles that are thrown her way on a routine basis. Her son gives her the strength she needs to push through all obstacles as he is her biggest supporter! 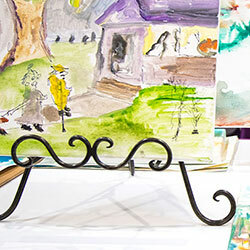 VSA Texas challenges perceptions of how people contribute by creating an arts-inspired, inclusive community of individuals with diverse abilities. They are an expert resource on inclusive arts – creating and maintaining an accessible and open community where everyone can participate. Their goal is to provide support and training to the public, enhance personal growth, and offer Texans access to the creative work of people with diverse abilities. Learn more: www.vsatx.org. Perhaps you used to run. Perhaps you have never ran. Either way, Ainsley's Angels of America aims to ensure that everyone can experience the joy of going for a run. In addition to ensuring everyone can experience endurance events, Ainsley's Angels of America aims to build awareness about America's special needs community through inclusion in all aspects of life. Serving as advocates to providing education and participating as active members in local communities, we believe everyone deserves to be included. Stop by our booth to experience this today and together, let's counter the claim that it is impossible and remove "can't" from the equation! Deal? Can you envision it now? The positive energy, the other athletes smiling from ear to ear, the togetherness of every member preparing to 'roll with the wind', the normalcy of the family, and the love everyone shares ... it is a therapy like no other! Oh, and the impact reaches the entire family, as many have discovered first-hand the therapeutic effects of these races. Learn more at www.ainsleysangels.org. TTAP is dedicated to increasing the access for people with disabilities to AT that provides them more control over their surroundings and an enhanced ability to function independently. They develop programs to improve access, advocacy and awareness of assistive technology to meet the needs of Texans with disabilities. 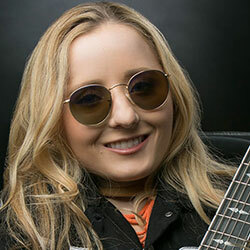 In a wheelchair since she was 7 years old, Ali writes songs that reflect her life and inspire with her joyful message of resilience and positivity. Legendary producer, Jack Douglas (Aerosmith, John Lennon), produced Ali's highly acclaimed debut album, "Unbreakable." In her exuberant new music video, "Roll This Way," Ali enjoins rock star Steven Tyler (Aerosmith), along with skaters, dancers & friends to "roll your own way." We're all here to live life without limits. Public awareness and education are very important to CDK – so important that they travel the country to talk to students of all grade levels, civic groups, religious groups, and businesses about assistance dogs. 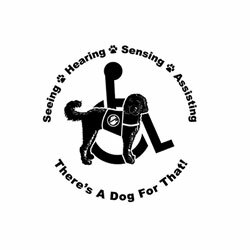 CDK also offers different ways to help educate the public about service dogs including Educational Presentations, Booth Event Participation, Americans with Disability (ADA) consulting. Members of CDK staff and volunteers travel all over the country for these opportunities. Please contact us to learn more about how we might participate in your school, business, or community event. Founded in 2012 by Chelsie Hill, the Rollettes are a group of young women making a difference - breaking new ground and inspiring the next generation. They are a community, a sisterhood, a family. Role models and trail blazers in dance, fashion, make-up and fitness. These women have created a community that redefines what it means to be strong, female, and resilient. With dance they dazzle and push the boundaries that others place in the way. 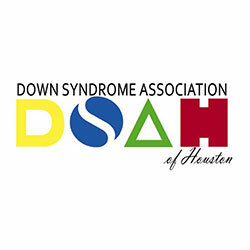 The Mission of the Down Syndrome Association of Houston is to provide programs and support to individuals with Down syndrome, their families, and the professionals who serve them, and to create awareness in the community through advocacy, education and medical outreach. We are known for our great family and community support programs. Today we are able to offer support to families in a variety of ways as well as all age groups in the Down syndrome community. Here are just a few examples: Community groups, Gymboree, Education for Life, New Baby Luv Baskets, Adaptive Ballet, DSAH Special Olympics, Postnatal diagnosis, and Camp Ability. Learn more at https://dsah.org. CosAbiltiy is an organization dedicated to engaging and empowering our members to be active in their communities and make a difference with their talents, personalities, passions, and creativity. They are a non profit organization started after seeing a un-filled need to the CosPlay community for better communications, empowerment, and activism by those of us with (dis)Abilities and special needs. They seek to create avenues and opportunities for all people by raising awareness, education, and encouragement as well as tools and processes to get plugged in to the community. Ayita is a dance class for children who use wheelchairs. Their mission is to inspire, encourage, and build confidence! 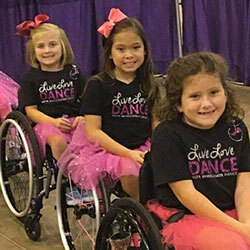 Abilities Expo is thrilled to welcome these talented young dancers to the show. They will be treating the crowd to thrilling performance. Then it's your chance to join them on the dance floor and learn some new moves at their dance class. Ayita is located in Fort Worth, TX. 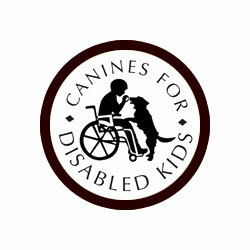 My Service Dog, Inc. is a 501 c3 non-profit organization established in 2004 by founder and president Allie Keaton. Her vision is to train service dogs, assistance dogs, and hearing dogs to promote independence and socialization. They are located in Houston, TX but their services are not limited locally.